What Tour Options Do I Have? What are the Perth City Kayak Tours? On the Perth City Tour, your guide will take you from the Centre all the way to the City Centre paddling under Perth’s Iconic Bridges as well as spotting wildlife on the way. Previous sighting include Seals, Beavers, Otters, Oyster Catchers & Herons. With your guide your navigate your way around Moncrieffe Island, home to the only island based Golf Course in Scotland. Your paddle through a mix of completely wild areas and areas surrounded by the beauty of Perth City Centre. You will have a qualified coach and guide with you at all times who will ensure you are kept safe while sharing their knowledge of the local area, wildlife and passion for paddling. 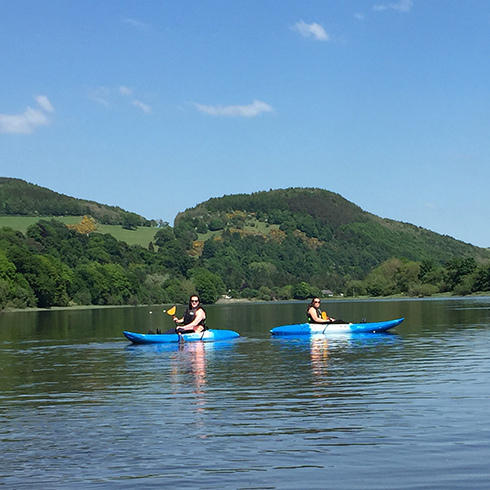 With both Single & Tandem Kayaks available you can choose your preference, we suggest those under the age of 15 to go in a tandem kayak with an adult. We run regular tours but can also do bespoke tours to match your needs!! Due to the tidal nature of the river our tours are not set time weekly and are published in the events section of our website. You can also email or phone to book. What is the Perth to Fife Tour? On the Perth to Fife Tour, your guide will take you from the Centre all the way to Newburgh in Fife. With increased chances of seeing seals, beavers and birdlife this is a more challenging trip than our Perth Loop but well worth the extra effort. This trip will give you a completely different feel to our Perth Loop. 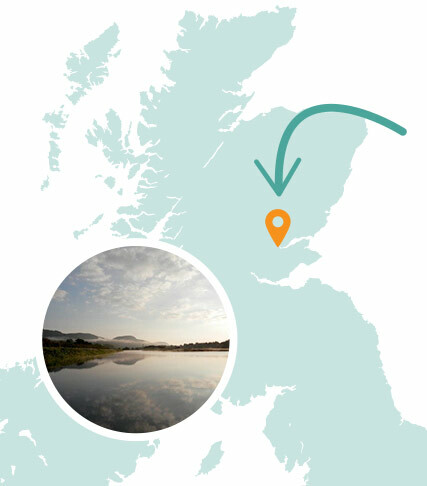 Leaving from the Centre the river will start to open up, following the twists and turns of the river your paddle your way out of Perth & Kinross and into Fife seeing the local hills and ever changing structure of the Iconic River Tay. Why not also add a trip to the oldest registered distillery in Scotland, Lindores Abbey Distillery in Newburgh at your end point. Please allow time to be driven back up after the end of the Kayak Tour. What is the River Tay Boat Trips? Not fancy taking a Kayak or Stand Up Paddleboard? Why not take one of our Pleasure Cruises on the Iconic River Tay!!! With lots of options for your trip including where to leave, duration of the trip and which boat your take there is your be able to find the perfect package for yourself. From short trips Willowgate to Elcho Castle to Full day trips from Dundee to Perth and Back. Locations include Willowgate Cafe, Ferguson Gallery & Dundee. What are Perth Guided Walks? Looking for something a bit different? Don’t fancy going on the water? Why not get in touch for a Guided Walk in Perth, we can take you to a location of your choice or take you on one of our personal favourites!!! On your guided walk we show you some Scottish Wildlife, talk you through the history of Perth & show you some fantastic views. Our most popular walk is taking a route around Kinnoull Hill & Deuchany Woods with it vast amount of views and routes you can get lost in nature for hours. What are Perth History Bike Tours? Your guide will take you around the City Centre by cycle showing you all the history in the city on the best way to get around! !